You've created the perfect meal tonight. Why struggle through dinner with sub-par knives? 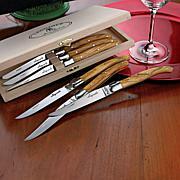 This set is perfect whether you're serving leg of lamb, filet mignon or simple pork chops. 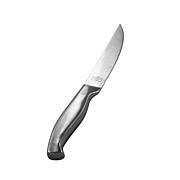 From everyday to special occasions these knives will perform exactly the way you want them to, time and time again. 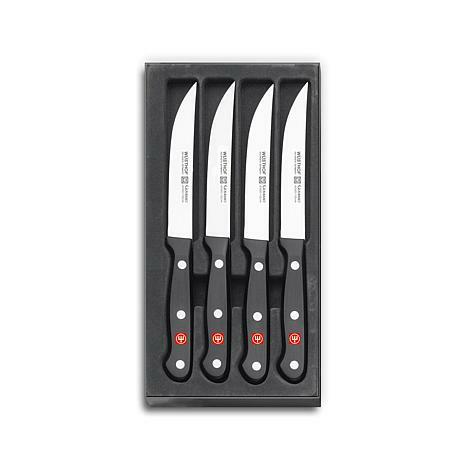 These are the best knives I ever bought & I will never buy any other knives again! They are very sharp, easy to use, clean easily with a soapy sponge, dry with a paper towel. Well worth the $$$. 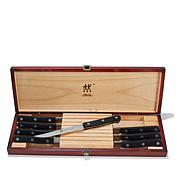 We received the Wusthof steak knives and could not be happier. Stainless steel from Germany and razor sharp. 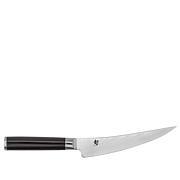 Great steak knives!! There not what I axpected.There not heavy very light cheap not the best.Very sharp for now.Have to see how they hold up.